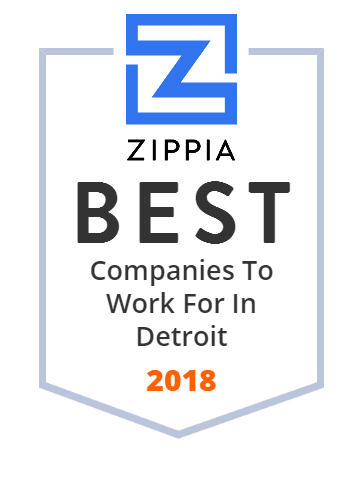 We hand-curated a list of the best companies to work for headquartered in and around Detroit, MI using data on salaries, company financial health, and employee diversity. DMC, The Leading Detroit Hospital and largest health care provider in Southeast Michigan delivering medical excellence. A global software development company and a preferred systems integrator; innovating in ERP, cloud, IoT, mobile, infotainment, augmented reality and analytics. American Axle & Manufacturing, Inc. (AAM), headquartered in Detroit, Michigan, is a manufacturer of automobile driveline and drivetrain components and systems. RocketLoans was established to create the most user-friendly and convenient personal loan platform in the world. Compuware Corporation is an American software company with products aimed at the information technology (IT) departments of large businesses. The company's services also include testing, development, automation, and performance management software for programs running on mainframe computer systems. The company has its headquarters in Downtown Detroit, Michigan. Children's Hospital of Michigan is a hospital located in Detroit, Michigan. DSI Holdings, LLC through its subsidiary, operates women s and men s specialty apparel retail stores in regional malls and strip shopping centers. The company was founded in 2007 and is based in New York, New York.